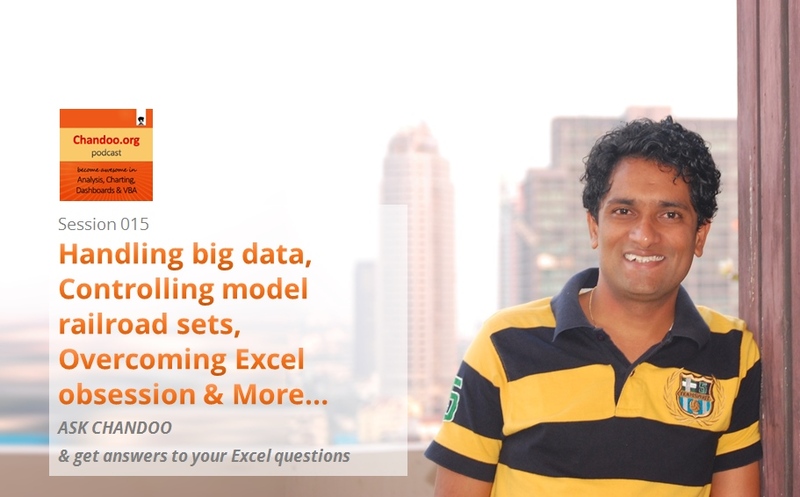 In the 15th session of Chandoo.org podcast, lets answer some of your burning Excel questions. Around last week, I invited you to ask me anything. More than 150 people responded to this call and sent in their questions. Since answering all the questions is not possible, I handpicked roughly 10 questions to answer in this episode of Chandoo.org podcast. 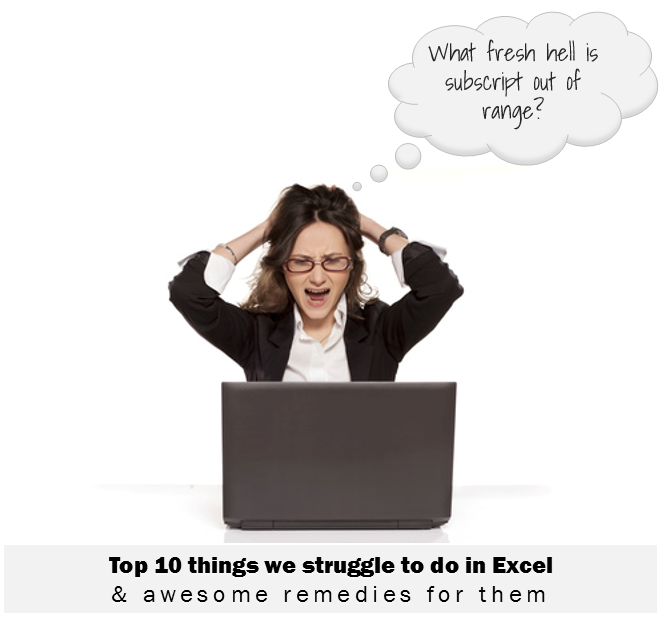 Recently we asked you, what do you struggle doing in Excel? 170 people responded to this survey and shared their struggles. In this post, lets examine the top 10 struggles according to you and awesome remedies for them. Not that kind you silly, We are talking about Business Intelligence, Big Data, Power Pivot & other Power BI family members. In this session, I am happy to feature Mike Alexander – Microsoft MVP, Author, Blogger & a good friend. Mike talks about how Excel is shaping the BI (Business Intelligence) revolution with advent of Power BI functionality. Introduction, what Mike is up to these days? What is BI, what does it mean to an average Excel analyst? 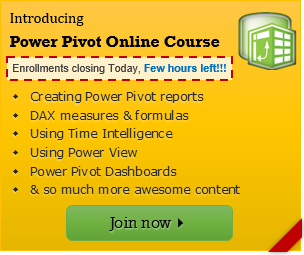 As you may know, I have opened enrollments for our Power Pivot course few days ago. The aim of this course is to make you awesome in Excel, Advanced Excel, Dashboards, Power Pivot & Advanced Power Pivot. We will be closing the doors of advanced Power Pivot & Bundled options at midnight, today – 11:59 PM, Pacific time, Friday, 21st of February. Let me interrupt the flow of awesome Excel stuff to share about our ongoing Power Pivot class enrollments. We opened the class last Monday (10th of February) and every day lots of people are joining the army of awesome Power Pivot analysts. Today lets talk about how to build world-class dashboards. Dashboard reports allow managers to get high-level overview of the business and help them make quick decisions. A dashboard is usually a one page report that contains critical information for decision support. Excel is an excellent tool to make powerful dashboards that can provide analysis, insight and alert managers in timely manner. But creating a dashboard takes a lot of skill & practice. That is where a resource like Chandoo.org comes handy. In this site you can find more than 200 different dashboard examples, tutorials, samples and downloads – all designed to make you awesome. I am happy to tell you that my latest online course – Power Pivot class is now open for your consideration. Please take a few minutes to read about this course and how it can help you. If you are ready to join, please click here. As we are getting ready to open enrollments for my upcoming Power Pivot online class, I am having a very busy and exciting time. Today, let me share few more details about our course. Power Pivot adds world-class Business Intelligence (BI), Reporting and analysis capabilities to plain old Excel. It lets you connect, analyze and visualize massive amounts of data with ease. While this technology is hugely empowering it is also has a steep learning curve for many of us. 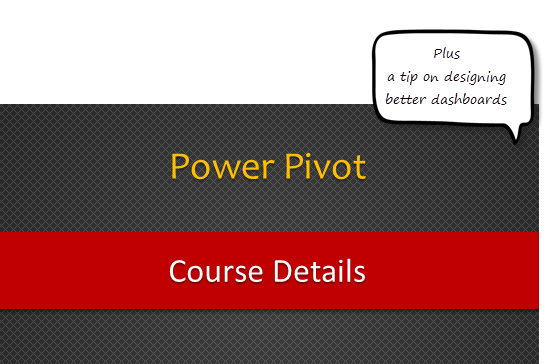 So in 2013 I started an online class to teach Power Pivot. So far I have trained more than 800 people on Power Pivot. Most people (and businesses) have transformed the way they analyze data and present results once they discovered what Power Pivot can do. And now, I am very glad to tell you that my Power Pivot course along with Rob Collie’s Advanced Power Pivot course (aka Power Pivot University) is open for new session. We are opening these courses for enrollment on 10th of February (Next Monday) for your consideration. 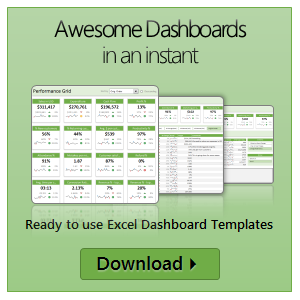 Power Pivot for Excel has come a long way since it was introduced in late 2009. In the last 4 years not only has the technology matured, but also became a standard reporting platform in many businesses. As a smart analyst (or manager), you will gain a lot of mileage by adding this vital skill to your resume. 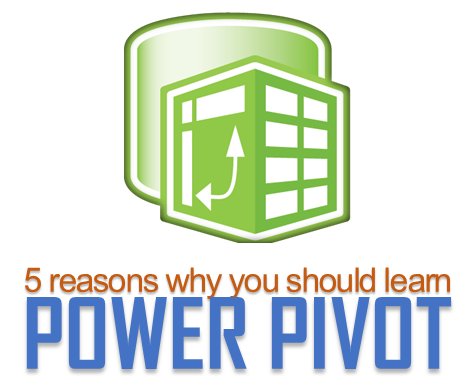 Today, let me show 5 reasons why you should learn Power Pivot this year. Sometime during the 2nd half of 2013, I finished 10 years of Excel usage. In the last 10 years, I completed my studies, got my first job, married, had kids, visited 15 different countries, quit my job to start a business, bought first car, first house, made dozens of new friends, read 100s of books, wrote a book and learned 1000s of new things. And all along, Excel stayed a true companion. Right from MBA entrance exam preparation in 2003 to making my summer internship project reports in 2005 to planning my wedding expenses in 2007 to getting a promotion in 2009 to planning my kids feeding schedule in 2010 to running a successful business in 2014, Excel helped me in every step. 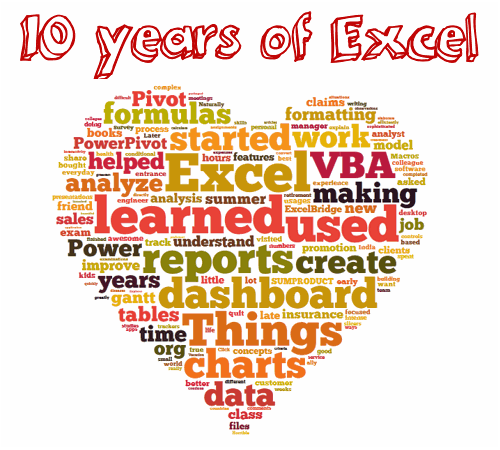 So today, I want to tell you the top 10 things I learned using Excel in last decade. Grab a hot cup of coffee, buckle your belts and get ready for time travel. I have a quick announcement & a creative dashboard to share with you. First the announcement. 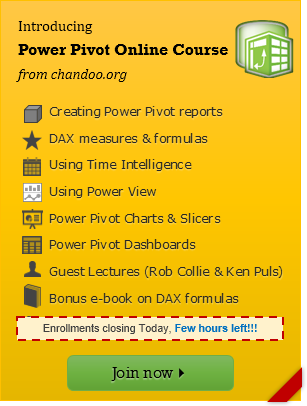 As you may know, I have opened enrollments for our 2nd batch of Power Pivot course few days ago. The aim of this course is to make you awesome in Excel, Advanced Excel, Dashboards, Power Pivot & Advanced Power Pivot. We will be closing the doors of this program at midnight, today (11:59 PM, Pacific time, Friday, 16th of August). I am very glad to announce that our Power Pivot & Advanced Power Pivot classes are now open for you. If you are ready, Click here to join us. Those of you new to this, read on. These days almost any job requires data analysis & presentation of results. While anyone can put a list of values in Excel & sum them up, not everyone can do advanced analysis, create charts, make them interactive, summarize data intelligently, present output in an intuitive dashboard or slice & dice data using Pivot tables & Power Pivot. Having these vital skills can make you invaluable to your organization & expose you to new opportunities. Not to mention the amount of time, money & effort you can save by efficiently using Excel. That is why we have created 3 powerful courses – Excel School, Power Pivot & Advanced Power Pivot classes. Think of these as steps in a ladder. A short video about designing better dashboards. 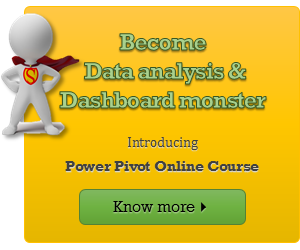 Are you interested in learning Power Pivot? I have a question and an announcement for you. Question: Are you interested in learning Power Pivot? Do you want to connect, analyze and visualize lots of data using Excel? Announcement: 2nd Batch of Power Pivot coming on August 1st.